At CJDS, we believe in learning for life. 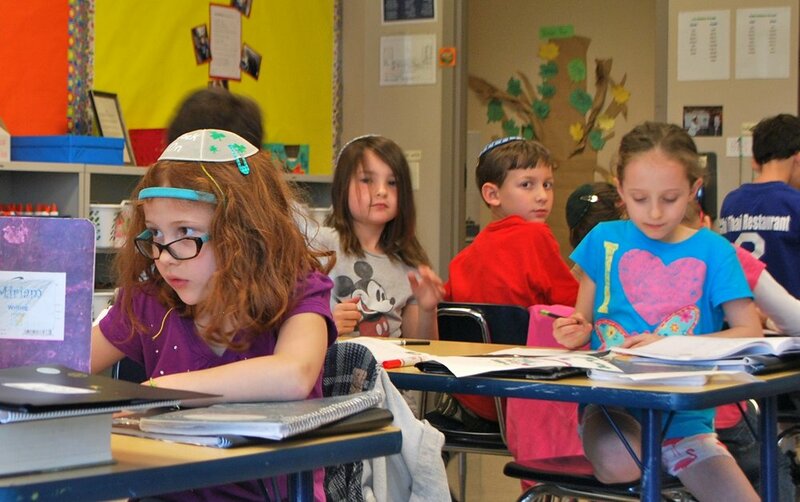 We believe secular and Jewish learning should live side by side. Every teacher on the faculty engages in CJDS’ intentional method of “curricular integration.” Integrated learning helps students connect the dots between the classroom and their own lives. Our educators care deeply about each child and work as a team to equip students with the tools and courage to ask probing and honest questions of themselves, and of the world around them. And we do it by nurturing their curiosity, providing the safety needed to take necessary risks to grow, and by fostering the joyful zest for the adventure that is forming one’s Self. We believe that young Jews growing up today need adult role models they trust and respect to help guide and model the identity-building work necessary to contribute thoughtfully and productively to the Jewish and global community. We believe in encouraging young students to dive deeply into Jewish and secular subject matter in both sophisticated and playful ways. We believe that there are multiple ways of being Jewish and we teach and celebrate diversity. We believe that this pluralistic approach to Jewish identity-building helps prepare students to navigate both Jewish and secular life with confidence, with sensitivity to cultural differences, and with the passion to engage productively in the world around them.